Accurately measuring the flow of liquids and gases is a critical need in many industrial and institutional environments. 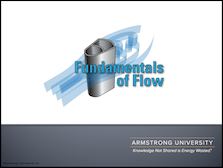 In some operations, flow measurement is so crucial that it can make a significant impact on your bottom line. Inaccurate flow measurements or failure to take measurements can cause serious or even catastrophic results. 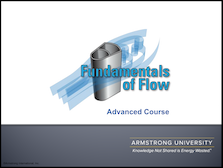 The Armstrong College of Flow Measurement courses will help you gain a better understanding of typical flow measurement solutions.